Mr. Mendelson founded Metropolis Capital Advisors in 2009 to help his clients find the scarce capital available as a result of the Wall Street meltdown when traditional sources of financing dried up and Powerhouses, such as Lehman Brothers and Bear Stearns, folded. Since starting Metropolis, Mr. Mendelson has executed on more than $150mm of equity and several billion dollars of mezzanine and senior debt. Mr. Mendelson brings more than 30 years of real estate finance and sales experience to the Metropolis team. From 2002 to mid-2009, Mr. Mendelson led the Structured Finance Group at Transwestern, one of the largest privately held commercial real estate and development firms in the U.S. During this time, Cliff completed more than $3 billion of transactions, including the $550 million Solaris Residences development in Vail, Colorado, the $500 million recapitalization of 237 Park Avenue, a $155 million movie theater portfolio, the $110 million acquisition financing of an eight-property retail portfolio sold by Regency Centers to Spectrum Realty, and the sale of a $20 million rake bond on a luxury hotel in Los Angeles, CA. 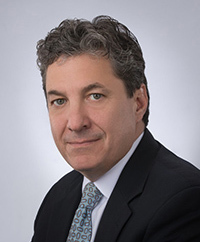 From 1996 to 2001, Mr. Mendelson was with CB Richard Ellis, where he headed the east coast hotel brokerage group and simultaneously ran the Mid-Atlantic and New York City real estate finance division of CB’s subsidiary, LJ Melody & Company. During this time, he completed the financing of several high profile structured deals, generally providing clients with equity or mezzanine portions of their capital structure. From 1993 to 1996, Mr. Mendelson was with Transwestern’s predecessor, The Carey Winston Company, where he started the hotel brokerage division of the firm. During his tenure with Carey Winston, in that period, he closed more than 20 transactions, comprised of various deal structures including sales, debt, equity and mezzanine, as well as the restructuring of bankrupt or distressed entities.